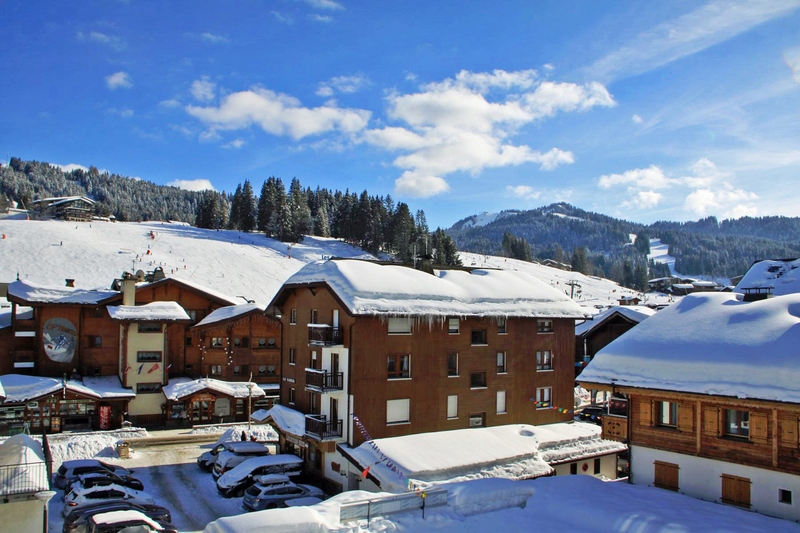 This apartment has an exceptional view over the village of Les Gets. 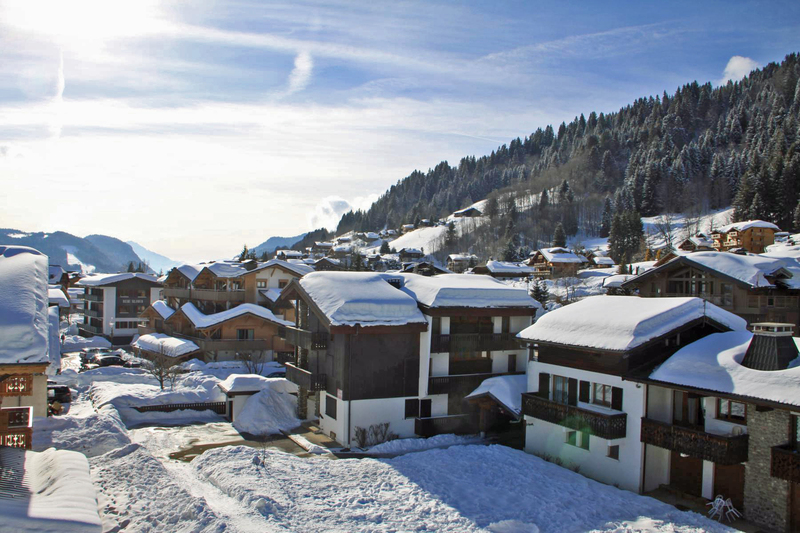 It is situated on the third and top floor of a residence building with a lift in the very centre of Les Gets. 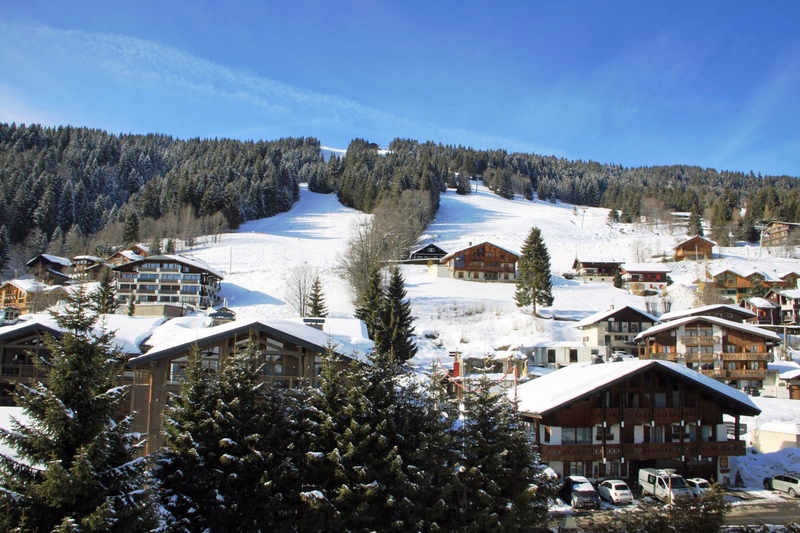 The ski slopes and the shops and restaurants are on the doorstep. 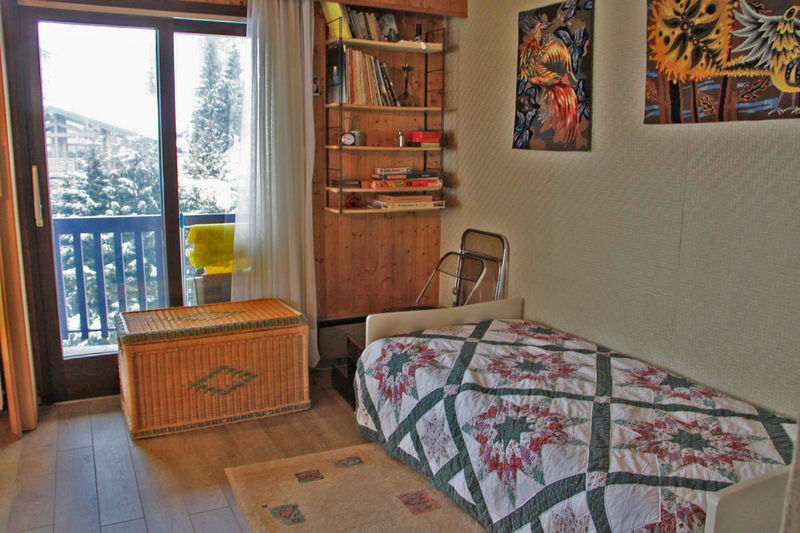 It is a corner apartment with an open outlook from 2 balconies. 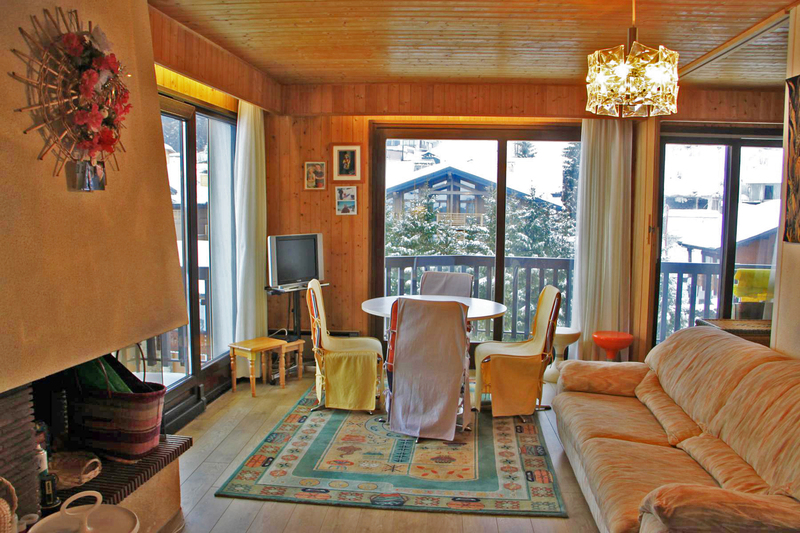 Included in the price are a garage, a cellar and a ski locker. 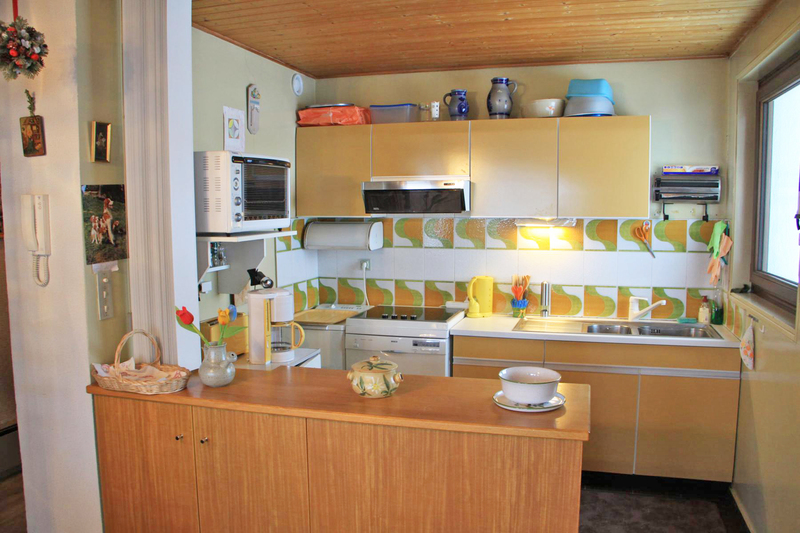 A living room with a fireplace and with access to two balconies, an equipped kitchenette, a bedroom which can be opened onto the living room, a bathroom and a separate WC. 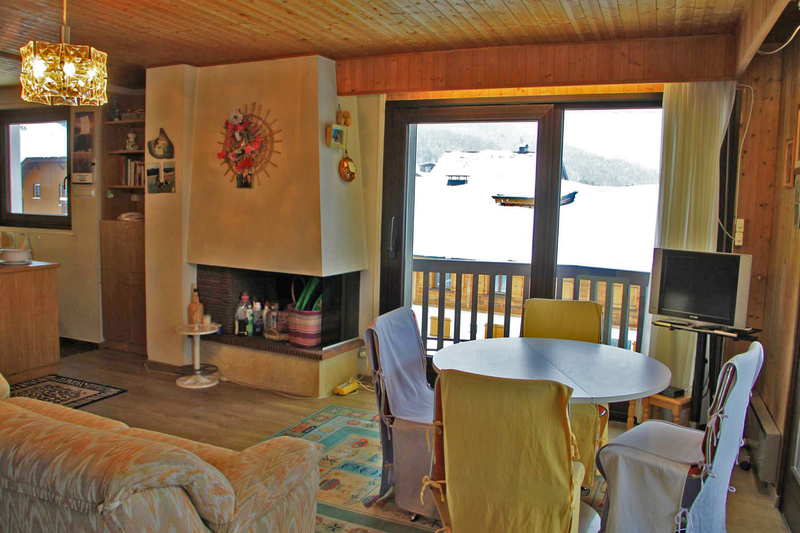 A garage, a cellar and a ski locker.